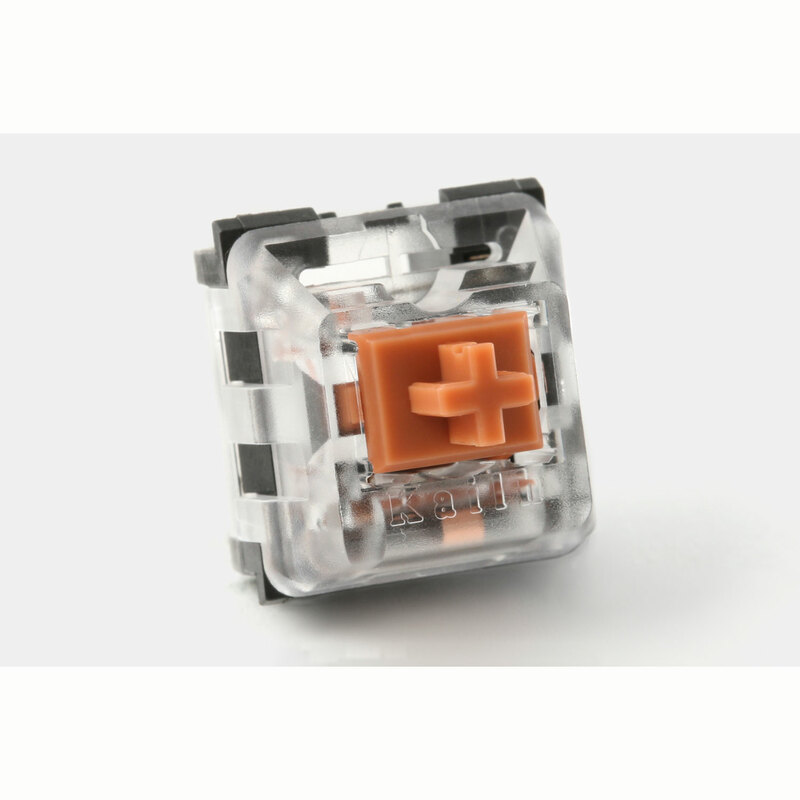 This is a new type of clicky switch, with a special spring-loaded click mechanism separate from the slider. This means the click is timed to occur around the actuation, instead of being caused by the motion of the main spring. 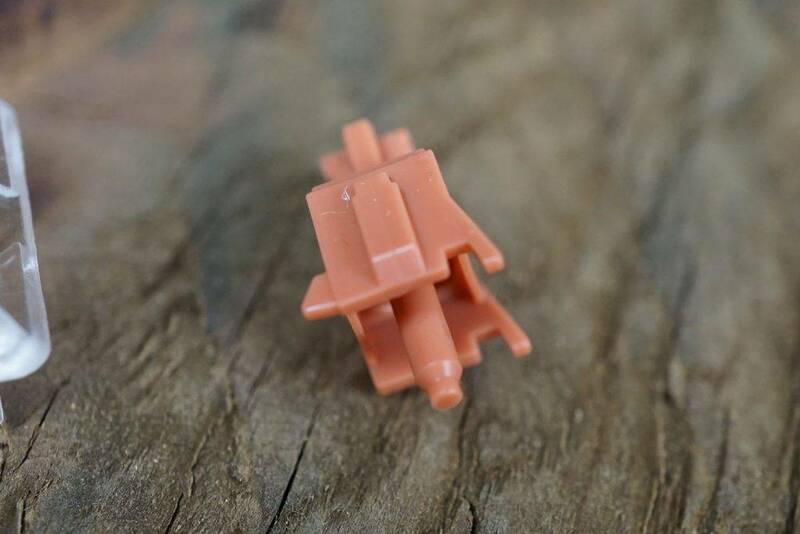 This is accomplished by adding a second plastic nub to the opposite side of the slider that comes in contact with a second spring. There are pictures of the mechanism below the force curve graph. This is a "Speed Switch", which means it has a very rapid actuation, and uses much less force to press than a standard mechanical switch. 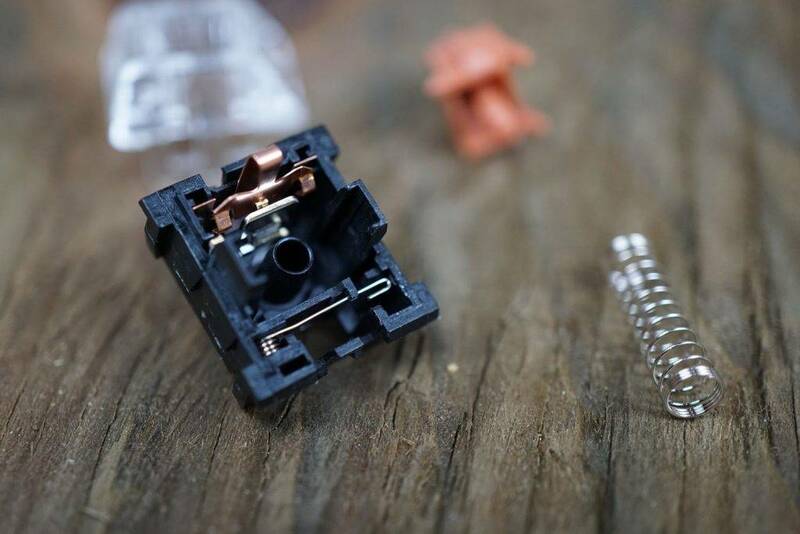 Overall, the Bronze switch has a very light tactile bump, a very loud click, and is extremely functional as a gaming switch, while also maintaining a lovely typing experience. Note - This switch is also known as "Thick Gold" or "Platinum" depending on where you look.